Flemish rider is the 18th rider under contract for Wanty team. Jan Ghyselinck now has a team for 2014. 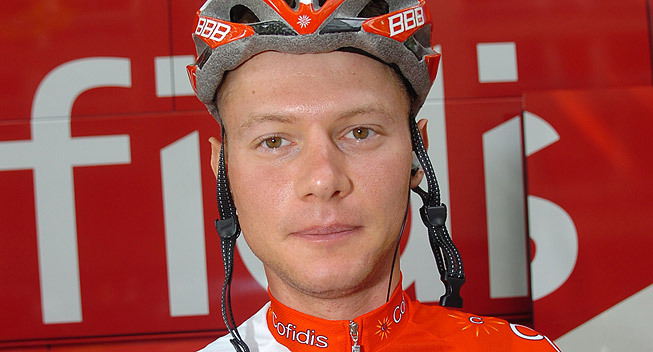 While Cofidis decided against renewing his contract, Wanty-Goupe Gobert team signs him, according to sporza.be. A promising rider from Flanders, Ghyselinck won Ronde van Vlaanderen U23 in 2009 with a solo attack, beating the likes of Degenkolb and Vanmarcke. He then joined the pro rank representing HTC-Columbia first and Cofidis later. The Flemish rider obtained a Dwars door Vlaanderen 4th place in 2012, but he still has no real breakthough result till now. Wanty-Goupe Gobert is a Belgian-based team, mostly containing riders from former Accent Jobs-Wanty team, but with some high profile signings, including all-around classicman Leukemans Dutch cousin Michel Kreder and Wesley Kreder. There were rumours the team is interested in signing Samuel Sanchez as well.